The Rebel Legion is a Star Wars based costuming fan club. The Rebel Legion's members create and wear costumes of the hero characters from the Star Wars saga, which includes but is not limited to the six films, comics, books, games, and television shows based on the Star Wars saga. 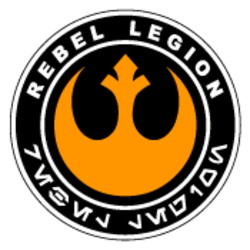 Although started in the United States, the Legion is now an international club that encompasses multiple nations worldwide and has become the premier Rebel costuming group in the Star Wars community. Since the Legion's inception it has been a volunteer club of costume enthusiasts who can enjoy, express, and share their interest of costuming with others in the fan community.